Hi my lovelies! Happy Easter and Happy April Fool’s Day :P What a bizarre combination! I’m so sorry about the lack of posts lately. There’re so many things going on in my life and I would like to share with you guys first. Guess what?! I got a part-time job. And no, this is no April Fool’s joke! If you are a fellow Canadian, then you must know about Tim Horton’s, Duh!! I started working at a Timmies nearby my house. If you don’t know what Tim Horton’s is, it’s almost like Starbucks in Canada but way cheaper :) There’re so many things to learn since I have to memorize how to make all the beverages and donut names and sandwiches etc, my brain is practically exploding! Some people may hate to work at fast food restaurants, but since this is my first real part-time job, so hey no complaints!! Also, I’m still on the hunt of a perfect prom dress and since Mid-term is approaching, I am insanely busy! But I want to compensate my absence with a nice Downtown Shopping Trip Haul. I actually went shopping downtown during the March Break but I never got the chance to put up the post so here it is. If you are from Toronto, then you might have heard of the Fashion District which is located near Queen and Spadina. If not, that’s ok, I didn't either :P I was researching for a place to shop for prom dress, again… and this location showed up! I decided to check it out and I fell in love with the place instantly. It doesn’t matter if you are into main stream fashion or if you love digging through piles of clothes and looking for treasures in small boutiques, I promise you there’s something you’ll enjoy! Just to name a few brands, there’re H & M, Zara, Brandy Melville, etc. Also, there’re loads of small boutiques as well as I said. Enough rambling, let me show you what I got. I went into this small gift shop with all sorts of cool stuff. I don’t remember what they have exactly but I remember that place was full of wonderful unique things that I couldn’t get enough. But since they were quite pricey, I settled on a pair of ear-rings. I know, it’s not that cool, but hey, look how pretty they are and plus, they’re only $5. 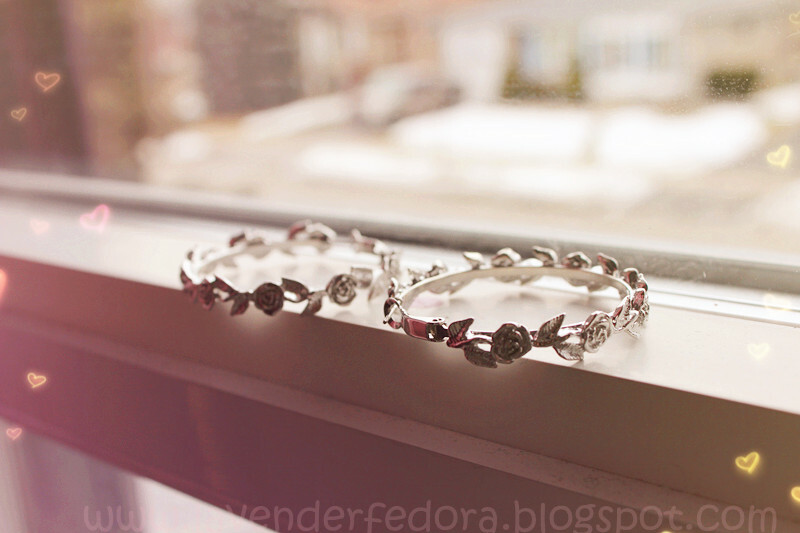 They’re actually my first pair of hoop earrings and they have delicate roses all over it. I love to wear them when I pull my hair up into a high bun. As I was browsing in Brandy Melville, loving their clothes but hating the price tags, I randomly bumped into this small boutique with sales sign all over the store. Who doesn’t like to shop smart, right? And I literally gasped as they told me a huge section of their stuff is only $12.99 each and another section is only $5.99! To add on that, I loved every single one of their items, they’re all either very classic or very trendy. I scored this black peplumish dress/top with the pearl necklace. It’s only 13 bucks and the dress totally reminds me of Holly from Breakfast at Tiffany’s. If you don’t know this, I am obsessed with Audrey Hepburn, I mean, who isn’t? I also got a pair of lace shorts for the same price. I see these shorts all over the internet but was unable to find a pair I like. And this pair I scored is actually a skort (skirt/shorts :P) How convenient! Then I went into Lush for their amazing bubble bars. 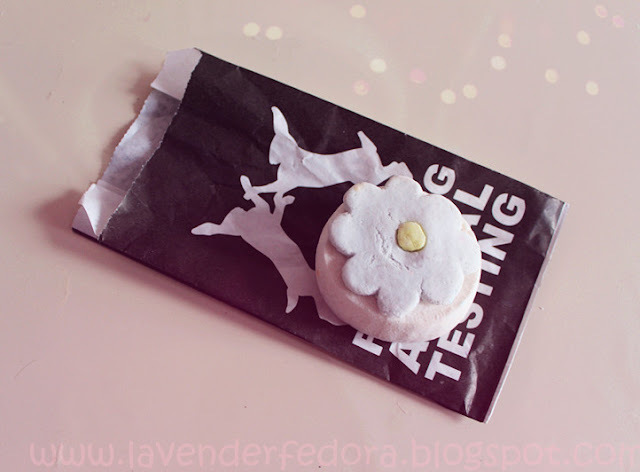 I am not a huge fan of their bath boms cuz I just don’t see what's the point of them? I would choose fluffy bubbles over colorful bath at any time, but maybe it’s just me. I’ve always loved Lush’s customer service. The ladies there are always so insanely nice that I am often overwhelmed in a good way. I picked up Green Bubbleroon which is supposed to look like macaroon though I hardly see any resemblance. The point is this bar smells absolutely divine. It’s a mix of lime, citrus and grass scent and I promise you a little bit of this goes a long way. 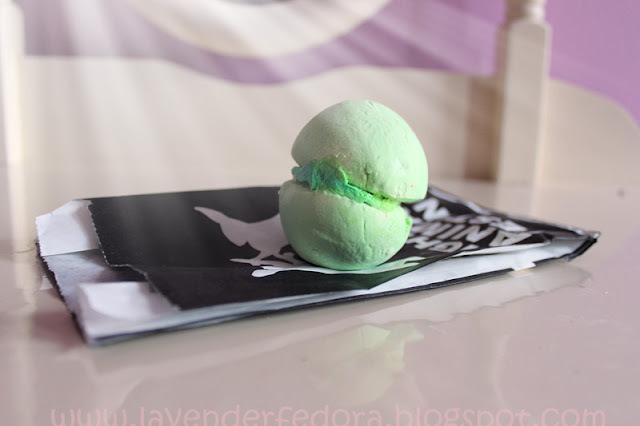 I also got Pop In The Bath which is again, a citrus scent bubble bar. This is quite shocking to me because I usually hate anything orange scented but I guess I don’t hate the other scents in the citrus family! I just used this one yesterday and it’s absolutely lovely! 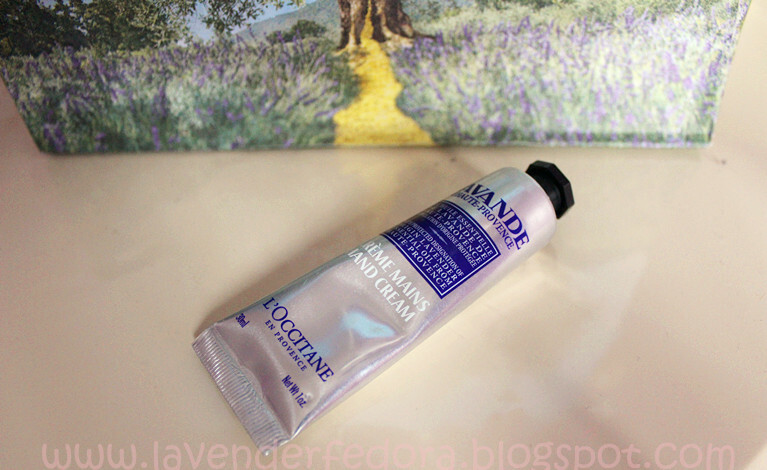 On my way to the Fashion District, I picked up a L'occitane lavender hand cream. I previously owned their shea butter one which is phenomenal and I got this coupon to pick a free one, so why not? Plus, it's lavender, how can I resist? The fashion district is also close to Kensington Market and China Town. How amazing! 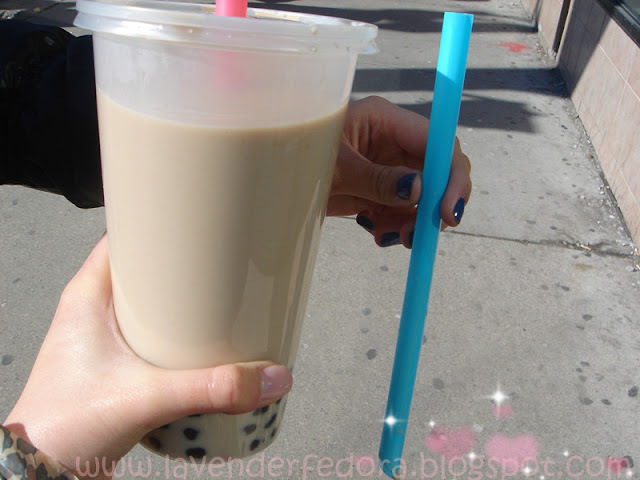 I bought this humongous bubble tea for only 3 something, it’s so huge that I was quite in shock when I received my order. Though I didn’t find any dress that I was in love with, I had a wonderful time downtown and I really hope you enjoy my post today! Cute buys! Loving the bracelets! Oh I totally did. I am in love with the bag too. When I was in college I used to see everyone with that bubble tea and I always thought I need to try it. But well now years later I still haven't tried it! I need to go get me one this month! So curious to how it tastes. You've got a lot of nice things! I am also in search of a part-time job, may I ask how you got your job? Thanks! I actually just walked into the Tim Horton's and asked to see the manager. And I showed them my availability and I got hired. Whoa you are so lucky! Have fun working! Thank you :) Good luck looking for a job! 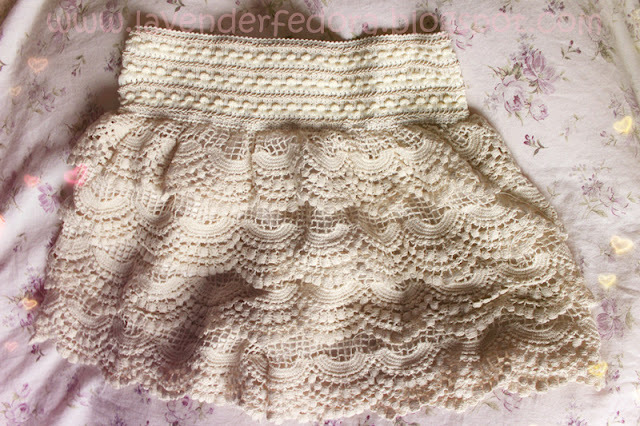 I love those lace shorts, they are so cute!! Hope you have a wonderful weekend! Catching up on your posts!!! Haha. Congrats on getting a job. That's exciting!! I love everything you bought!! 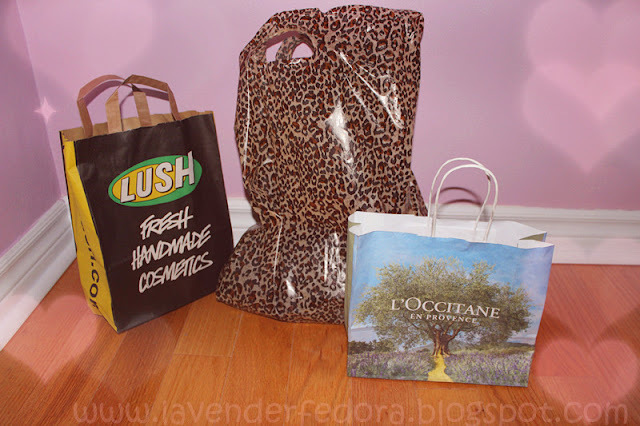 Those shorts are gorgeous, LUSH is just amazing, L'occitane makes great hand lotions...oh my this is such a fun post. Never had Tim Horton's while I was in Canada but I think that might be my first stop next time.